Ever since I was a kid I have always been a fan of the 'Choose Your Own Adventure' series of books. I recently discovered that the library in Bay Ridge has all the old classics that got me through elementary school. But my good friends over at the awesome blog Zombies and Toys are trying to take us to the next generation of these self propelled stories and I for one can not wait to give it a shot!!! 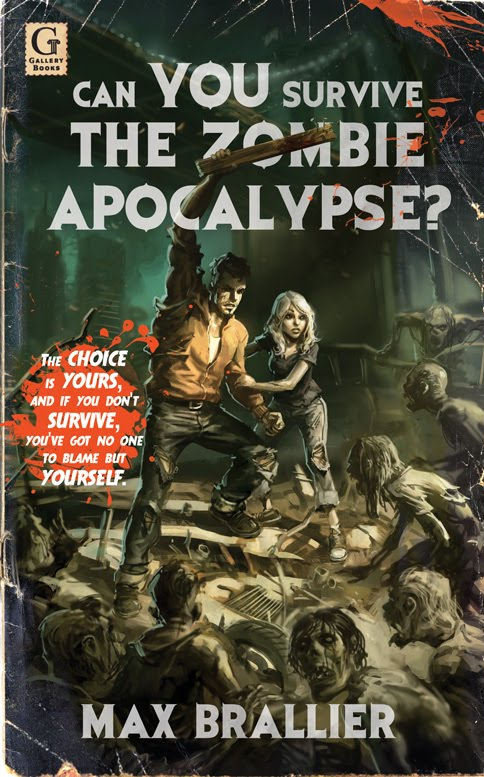 This is the very cool looking 'Can You Survive A Zombie Apocalypse?' written by Max Brallier. 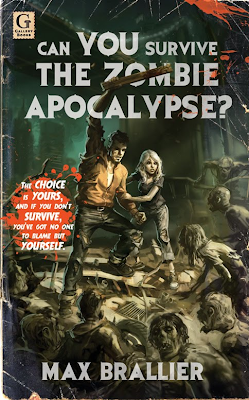 It is in the vein of the old "Choose Your Own Adventure" books and is capitalizing on the whole zombie movement going on right now (Zombies are in... Vamps & Werewolves are so last year). You can win a free copy by clicking here and following the prompts at the bottom of the post. Tell them CCD sent you... who knows, maybe they will pick one of our guys to win (wink, wink!!! ).